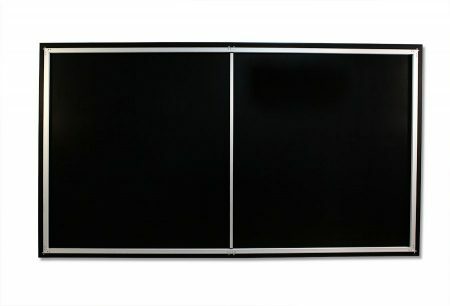 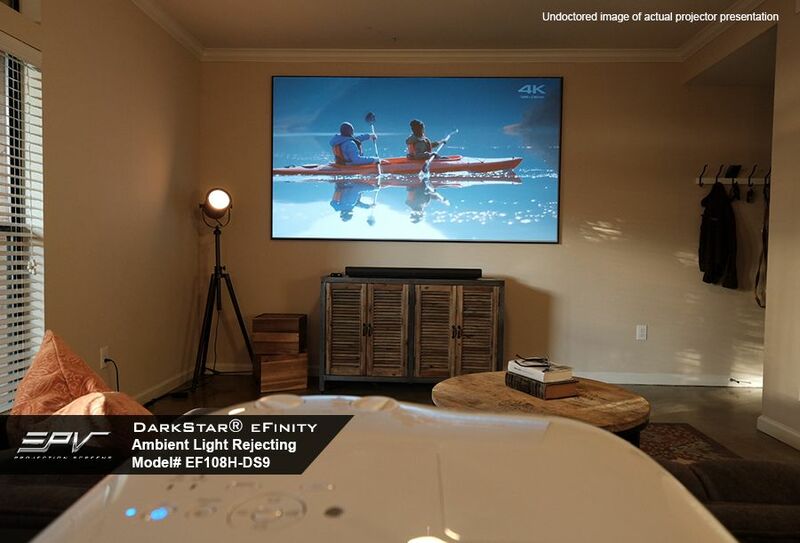 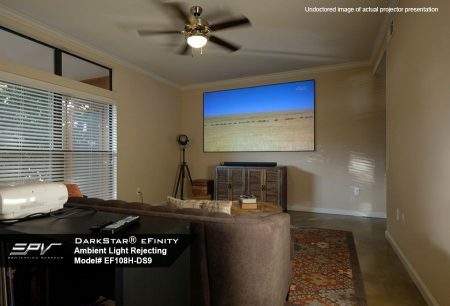 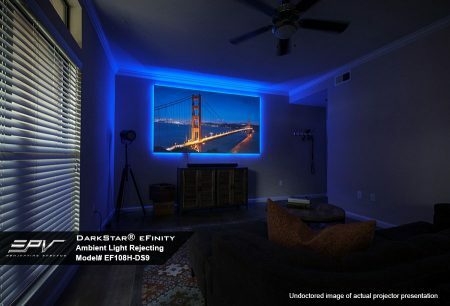 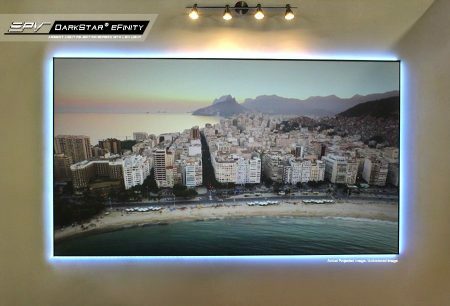 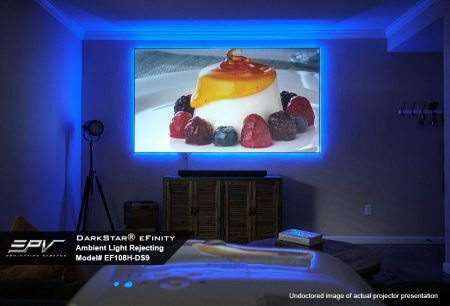 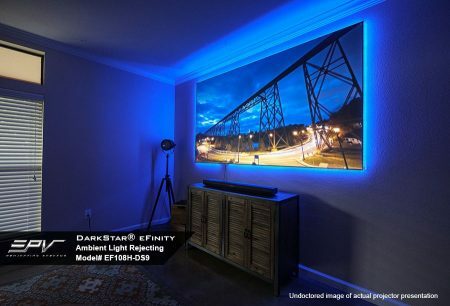 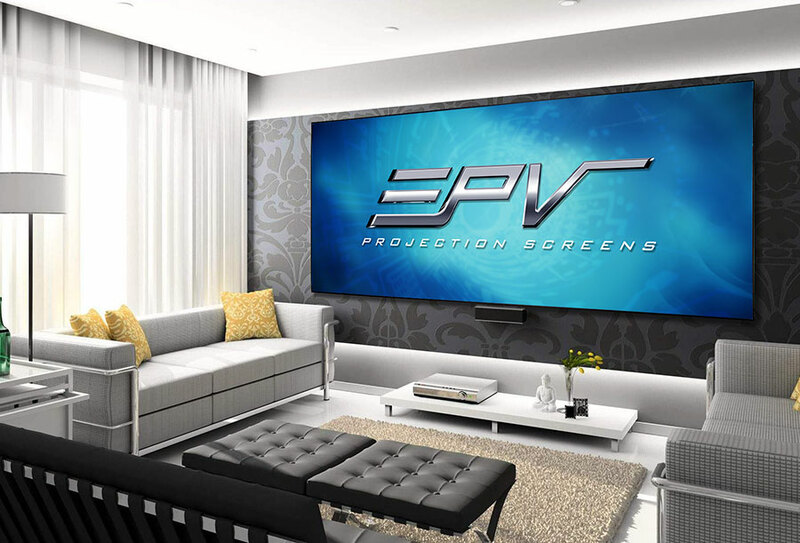 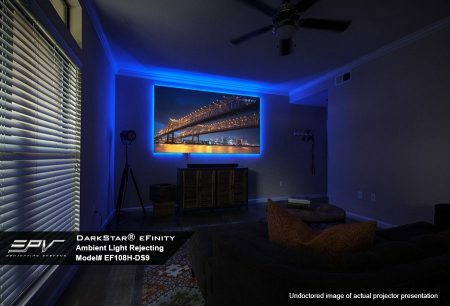 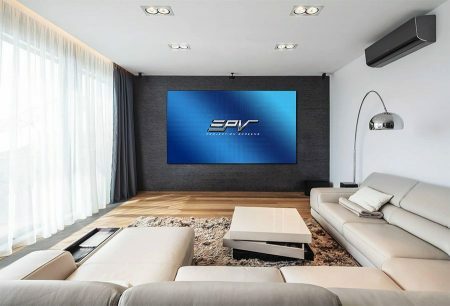 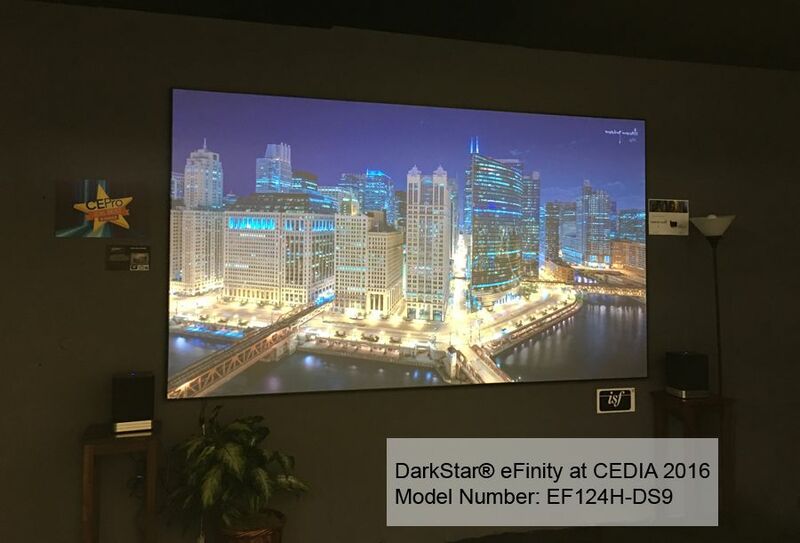 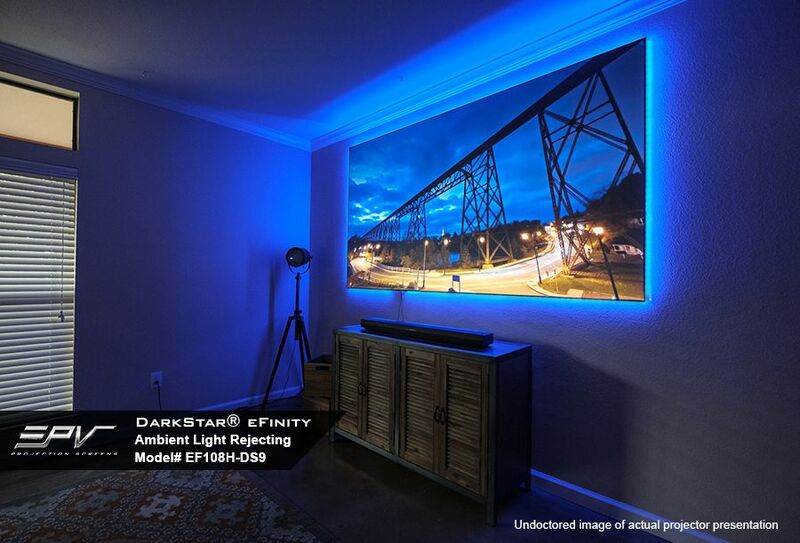 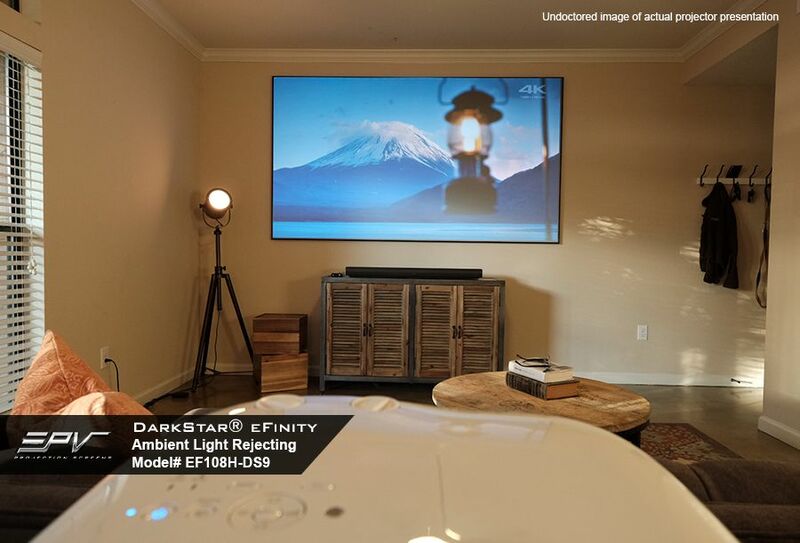 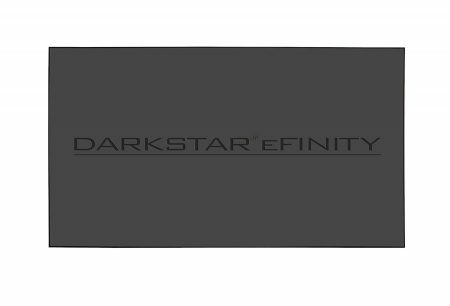 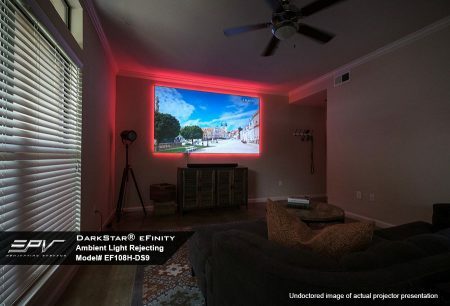 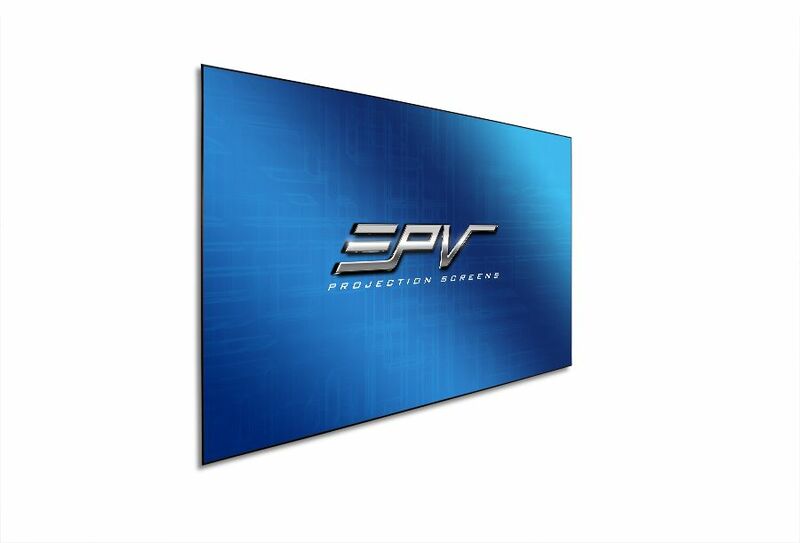 The DarkStar® eFinity by EPV Screens represents the absolute pinnacle of ambient light rejecting technology. 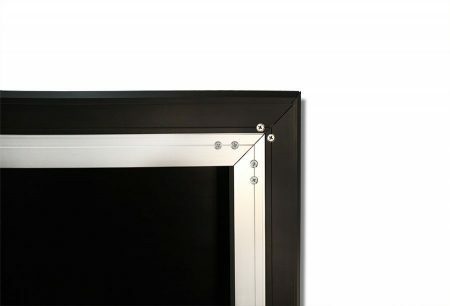 It features an internal-framework with the wraparound material that is better known as an EDGE FREE® design. It is a more aesthetically pleasing format and includes a sleek 9 mm frame bezel. The design blends seamlessly into any home décor. In addition to its design qualities, the eFinity’s EDGE FREE® configuration maximizes the viewing area in a smaller spatial footprint without compromising the screen’s structural integrity. 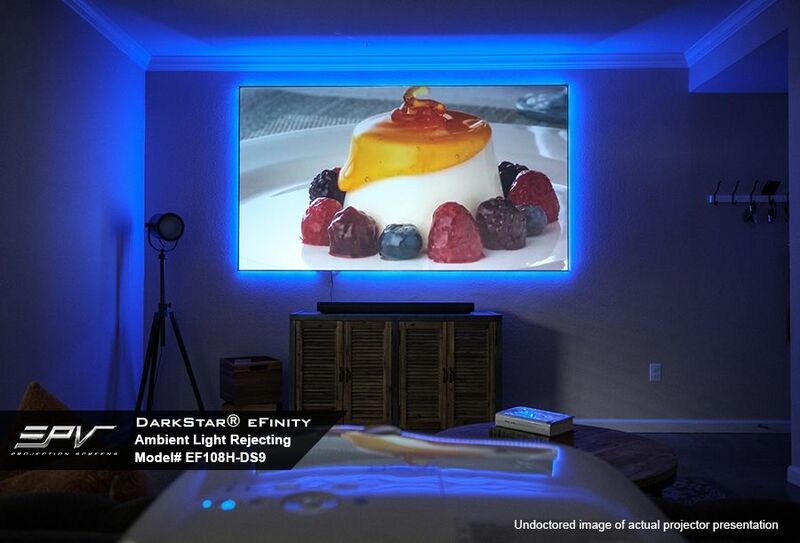 An LED backlighting kit with Infrared remote control is included at no extra charge. 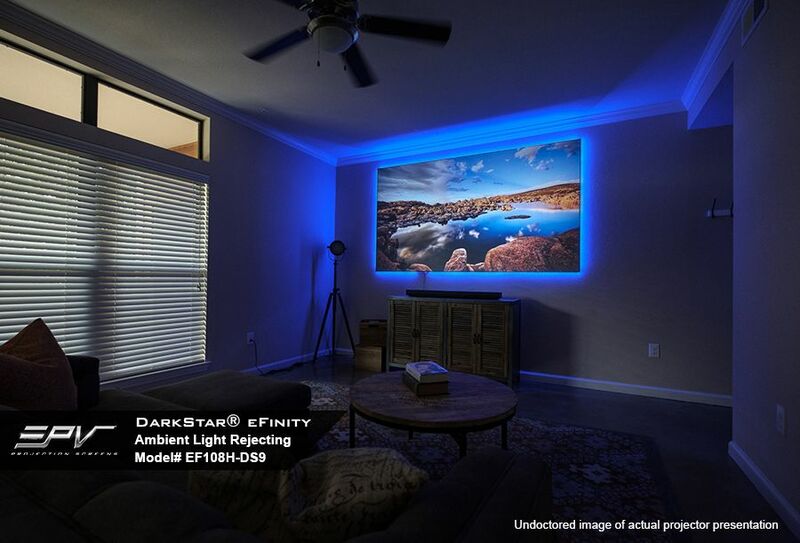 This series features our ISF-Certified and award winning, DarkStar® 9 front-projection Ambient Light Rejecting (ALR) material. 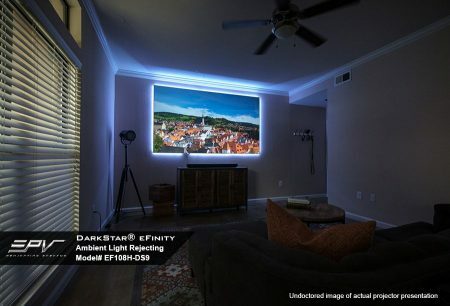 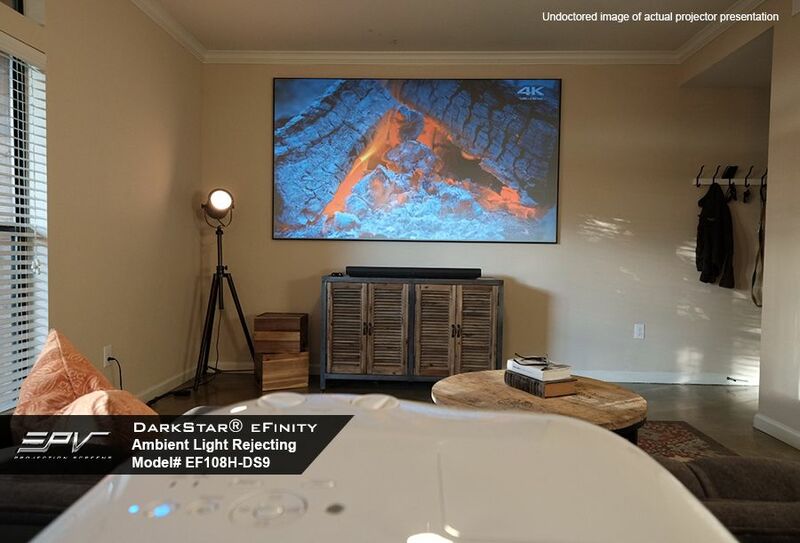 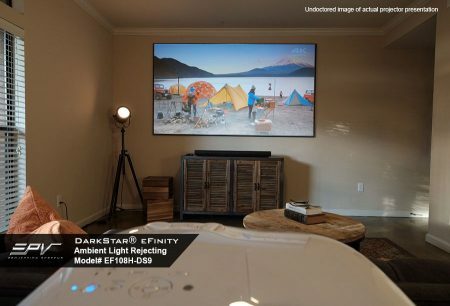 The DarkStar® 9 is an advanced retro-reflective, multiple-layer, optical microfilter-based viewing surface that is capable of absorbing up to 90% of in-room ambient light. 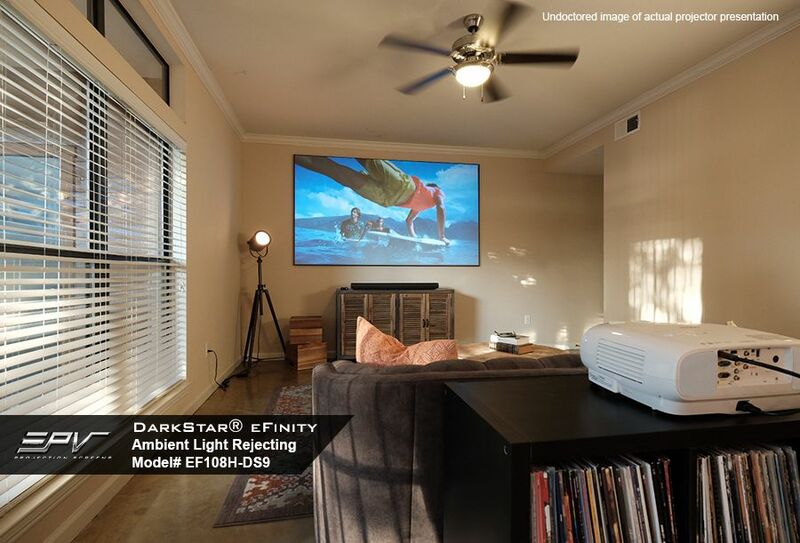 Its ISF Certification assures accurate color fidelity while providing the deepest blacks possible with an astonishing level of detail in a full 180-degree viewing angle. 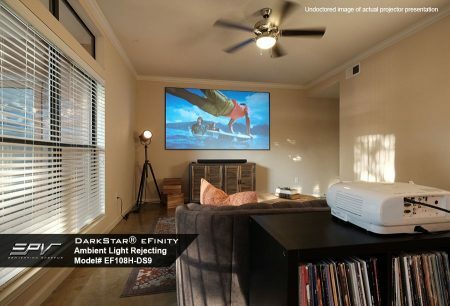 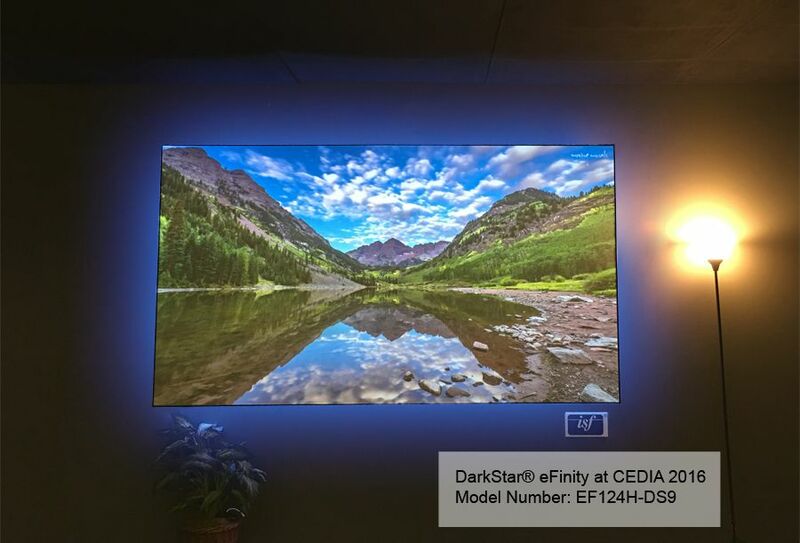 Winner of the prestigious CTA “Mark of Excellence” 2016 Product of the Year Award and highly acclaimed by numerous industry video experts, the DarkStar® 9 eFinity sets a new benchmark in front projection screens.